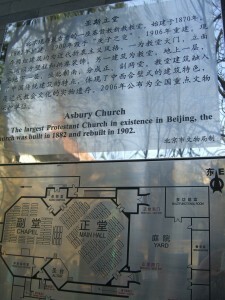 The Chongwenmen Church, AKA Asbury Church, is located a stone’s throw from the Beijing Railway Station. 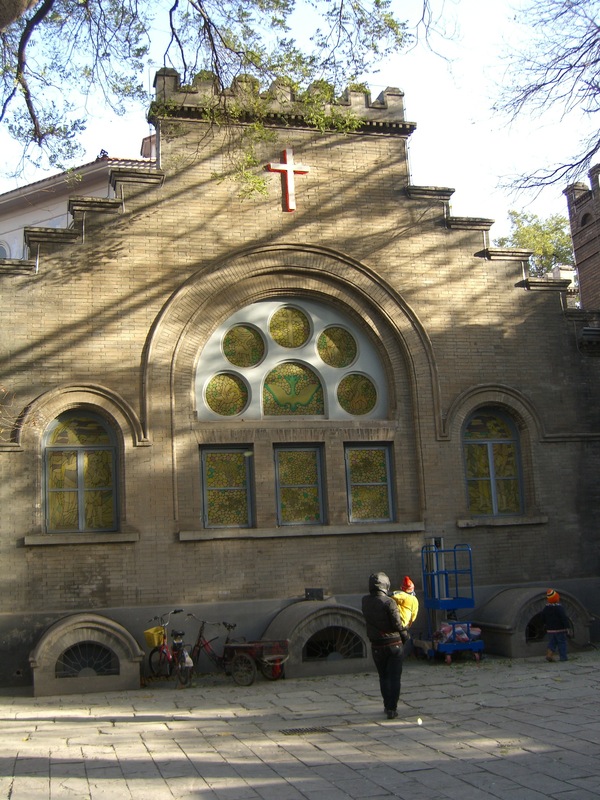 Down a hutong close to the Chongwenmen subway station, the church is located via a stone gate and within a stone and wood structure. When first established in 1870 by the American Methodist Church, the church was called Asbury Church. During the Boxer Rebellion of 1900, it fall victim to the rage of China’s farmers and was burned down completely. In 1902, the government provided funds to rebuild the Asbury Church and completed the new construction in 1904. 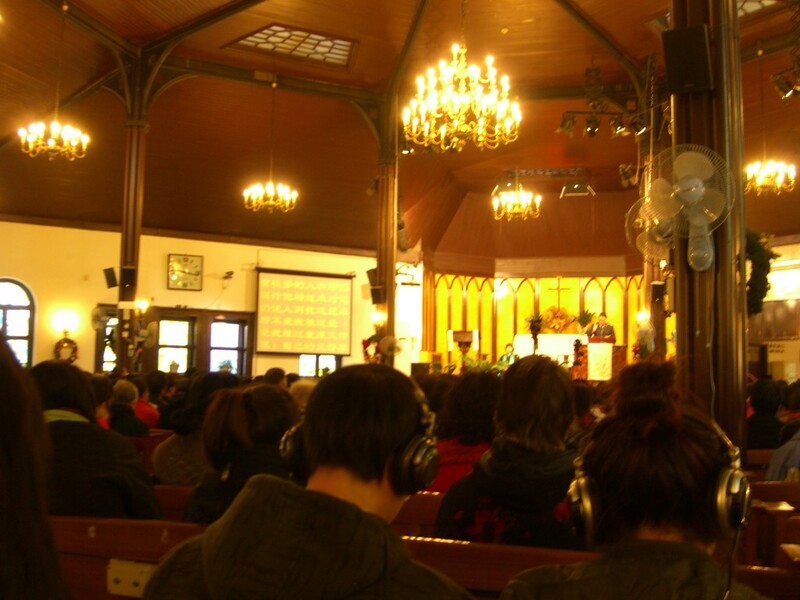 Since its establishment, the church has been one of the most important and famous in Beijing. The chapel was expanded over the years and now can seat 2,000 people. Chongwenmen Church is one of the largest Christian Protestant churches in Beijing. Rarely in China, its architectural style — at least the outside — is well-preserved. The building is designated a historical relic by the government and hopefully its beautiful facade will be protected for a long time. Just a side note, this church is also a popular location for couples — Christian or not — to shoot their wedding photos. 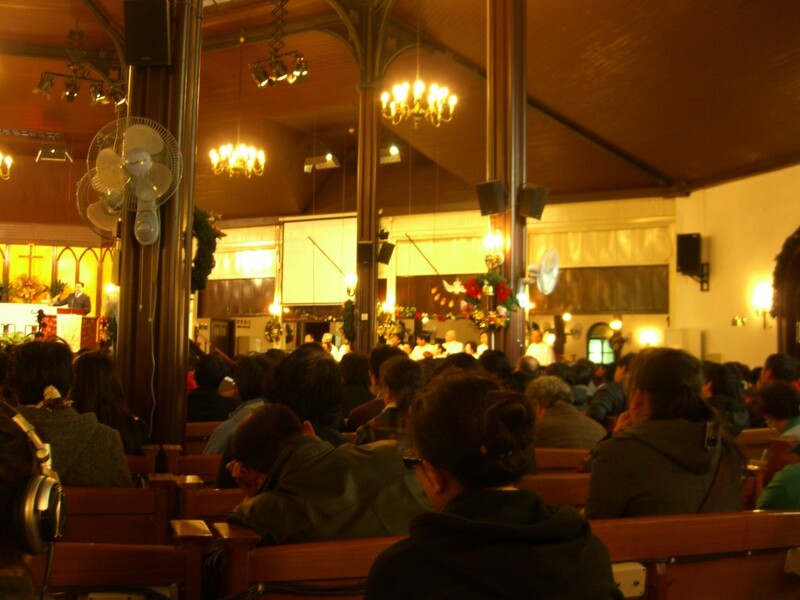 Insides the church, there are many non-Chinese who can listen to simultaneous interpretation of the sermon. The choir sang beautifully and the entire Sunday morning service lasted about 75 minutes. As we walked out, a large crowd was already forming outside to enter the church for the next service. 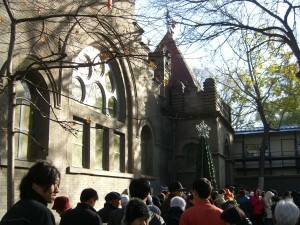 During Christmas, it is impossible to enter this church because of its popularity (think Time Square during new year’s eve). Hi , My Name is Denis, I run a mission and volunteer organisation called Msafiri, we arrange missions and volunteer trips to Uganda for groups where they go and work but also get to see the wild life and meet thee people. How can we register to be on your pages so that Christians in China can hear about our work? Do you have new testaments and Bibles in Chinese available on sale? I have been there too. It was wonderful to experience a service in this church. Do you have sunday service? what time? I look here by internet. Because my friend tell me aboout Chongwenmen church story. So I have interesting .I often have been to Beijing , Next time I will to see. It is such a blessing to see your photos! This is “my” church when I visit Beijing; I have attended each summer when I go to teach English. I cannot go this summer due to family obligations, but my heart is there with my fellow Christians.